John was born in New York City in 1925 and raised in Butte, Montana. After serving in the Naval Air Service during WW II, he graduated from Montana State University in 1949 with a BS degree in Commercial Science. Prior to transferring to Montana State, he had attended Dartmouth College where he earned his private airplane pilot license in 1945. He did not find soaring until after he moved to Phoenix, Arizona in 1958. There he met Joe Lincoln who encouraged him to join the Arizona Soaring Association (ASA), which he did in December of that year. He soon earned his glider pilot license while serving as a tow pilot for the club. By the end of 1959, he had purchased his first sailplane, a Schweizer 1-23G. Not one to waste time, he earned his Gold and Silver badges that year, also completing Diamond goal and distance legs. He had to wait until 1960 to complete his Diamond with a wave flight to 35,100 feet at Bishop, California. He was very active in the club - loaning his aircraft for glides and tows, showing his sailplane for the club at air shows and many other club competitions and activities. He was elected ASA President in October 1960, serving for two years. By 1960 he had purchased a Sisu 1 from Len Niemi and soon earned the Barringer Trophy for a flight of 454 miles. In 1961, John was elected as Region 9 SSA Director and served our soaring community in that capacity and others until 1978. He was SSA Vice President from 1962 to 1964 and President from 1965 to 1966. During a particularly stressful time for air space issues, he chaired the SSA Government Rules and Regulations Committee. During this difficult time, he wrote several articles for Soaring about airspace issues and regulations warning pilots to "know the law" and urging the FAA to permit glider operations in positive control areas. John's "day job" was running Rainco, a company he started in 1964 offering competition sailplanes and a wide variety of instruments, radios and replacement parts. He also was a self-employed radio communications consulting engineer for many years. John commented about serving the SSA as follows: "Working for the SSA can be a very rewarding experience. A few hours spent in furtherance of the Society's objective can be as exhilarating as a good thermal!" He won the 1962 Nationals at El Mirage flying his Sisu. He finished first on the first competition day with a total distance of 446.8 miles, the first 236 miles being a prescribed triangular course followed by optional free distance - the famed "Bikle Basket". He was awarded the du Pont Memorial Trophy for winning this national competition. In 1963 he competed with the U.S. Soaring Team in the World Soaring Championships held in Junin, Argentina. 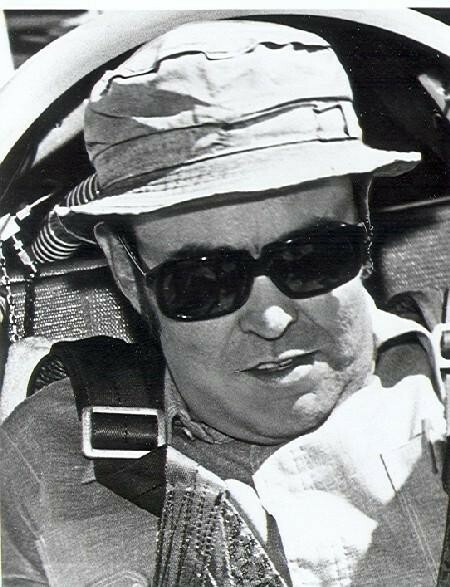 He was invited to fly the Smirnoff Cross Country Race twice, 1972 and 1973. 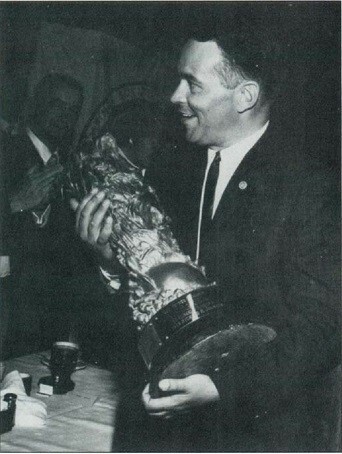 John Ryan was awarded SSA's highest award, the Eaton Memorial Trophy in 1965. He received the Barringer Trophy in 1961, the du Pont Trophy in 1962 and the Stroukoff Trophy in 1964. He earned his Silver #340 in 1959, Gold #84 in 1959 and Diamond #16 (Intl #140) in 1960. These accomplishments took place barely seven years after his first glider flight! John Ryan had over 12,000 hours in powered aircraft and over 4,000 sailplane hours. In addition to his volunteerism with SSA, he also served as a Director of the National Aeronautic Association. To quote Final Glide on the SSA web page - "John Ryan was typical of the men and women in soaring who believe that their duty is to return more than they receive."